Apple cider vinegar and honey have been experimented with for a variety of human uses. Those uses include weight loss and a wide range of home remedies. Honey, of course, has many fans, but apple cider vinegar also seems to have quite a following! The assumption is (presumably) that by combining apple cider vinegar and honey, you'll get the benefits of both honey and vinegar in one. Anyway, from my investigations, it seems there is evidence to support some claims (or at least merit further investigation), but a lack of evidence to support others. So first, below I will look at some of the proposed remedies which combine apple cider vinegar and honey. After that, I take a look at the evidence with regard to claims about nutrition and treatment for ailments, different formats available, and some wider evidence. I have tried to be as balanced as possible. Please read on! Please note, honey should not be given to young infants under one year old, as honey can cause botulism in babies. Although it is rare, it can cause a serious paralytic disease. I must say that I cannot vouch for any of these home remedies personally! These are the recipes I have found, I have never tried them - although some, I might be interested to try - but I cannot guarantee they are safe or appropriate, and I add them here for your information. Combine a glass of water with 2 teaspoons of apple cider vinegar, and 2 teaspoons of honey, and drink at intervals 3 times a day. It is said to dissolve the crystal deposits of uric acid that might otherwise form between the joints. This in turn may help to deter arthritis. Whilst I have seen no scientific evidence to support the claims made, I am personally open minded about it, and would be prepared to try it. During my research, I have found that quite a few people with arthritis state that it has helped them. It would be great to see some research, but I can't imagine a pharmaceutical company ever sponsoring any (and by the way, I used to work in the pharmaceutical industry!). Clinical trials are extremely expensive, and I'm not sure a pharmaceutical company would be able to own a patent for the product, nor charge a substantial price versus medicines they can protect with patents for some years, and sell for higher prices. Do you have an annoying tickly cough or a cold? Do you have a sore throat? Honey is meant to act to help soothe the cough or soreness in the throat. Antibacterial properties of both honey and vinegar are meant to be beneficial. US study (4): Paul et al (2007): "Significant differences in symptom improvement were detected between treatment groups, with honey consistently scoring the best and no treatment scoring the worst. In paired comparisons, honey was significantly superior to no treatment for cough frequency and the combined score". Study from 2012 9n Israel (5): Parents of 300 children 1 to 5 years old reported that cough frequency, cough severity, bothersome nature of cough, and child and parent sleep quality improved after treatment in the groups that received honey. Although the study was financially supported by the local honey board, its methods seem solid, and the results are encouraging for future evaluation of honey as a supportive measure for children with cough. Just mix honey with a little cider vinegar in warm water and sip as required. Or just try the honey on its own! Test the solution on a small patch of skin first, to check for allergies before you try it on your face. There are mixed reports as to whether this works. I have never tried it. I suspect it has a very strong odour! 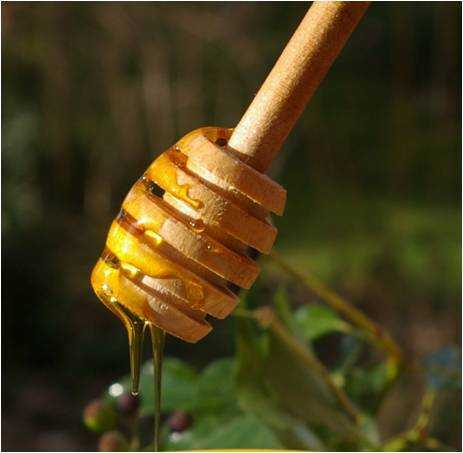 Certainly, honey is a humectant and both have antibacterial properties. You can read more about the beauty benefits of honey here (opens new window) - or read on to get to the scientifically proven part. Mix together in a cup of hot water, and drink twice a day. Use hot packs on the boil for 15 to 20 minutes three times a day. If the boil is especially bad, it may need to see a health care professional. Take 2 teaspoons of apple cider vinegar, and 2 teaspoons of honey in a large glass of water, three times daily. Due to the anti-bacterial properties of honey, and vinegar as a good cleansing agent, it is believed by some that combining the two can create a cleanser that is helpful against acne. You can read more about honey and acne here. Mix 1 teaspoon of apple cider vinegar with 1 teaspoon of honey, together with 4 tablespoons of warm water, then allow it to cool. Use to cleanse the face with a cotton wool pad, then rinse thoroughly. Again, the antibacterial properties are believed to be beneficial, but once more, be certain you are not allergic to either ingredient! Beware of infections requiring further treatment. Mix a teaspoon of honey and a teaspoon of Apple Cider Vinegar together, and apply to skin. See this information for dealing with bee stings, and for further information about first aid for wasp stings go here, and in particular, for further information about allergic reactions to stings. Can honey and apple cider vinegar help you lose weight, burn fat deposits, and shed the pounds? There are various claims made, regarding its use as an appetite suppressant, and research which could point to anti-fat fighting properties. If you are interested in weight loss, then definitely see my page: apple cider vinegar and honey diet. This page provides a full recipe, a summary of the research (that's right, the research) I have found, and tips for taking this diet, in particular, how to make it more palatable! If you have diabetes and have a found a recipe for diabetes which suggests combining honey and vinegar, please disregard it immediately. Honey is not recommended for diabetics. However, there is some very interesting research regarding the use of apple cider vinegar alone. Research cited in the American Diabetes Foundation's publication Diabetes Care in 2004 suggests that apple cider vinegar reduced the blood glucose levels (versus placebo) in people with Type 2 diabetes(1). Please note, honey was not used, and to repeat, honey is not suitable for people with diabetes. The sample size was small (only 29 people in total), but this study would surely warrant further investigation with a large, statistically significant sample size? Would I consider taking it if I had Type 2 diabetes? After consulting with my doctor, probably I might personally be prepared to try it. On one side, Carol Johnston, PhD, who directs Arizona State University’s nutrition program, believes the effects of apple cider vinegar on blood sugar are similar to certain medications, stating that it blocks some of the digestion of starch, preventing at least some of that starch from being digested and raising the blood sugar (2). However, Michael Dansinger, MD, director of Tufts University’s diabetes lifestyle coaching program, states that early research suggests apple cider vinegar could make gastroparesis, (a common problem with diabetes) actually worse (2). '2 teaspoons of apple cider vinegar, and 2 teaspoons of honey mixed with water, three times daily' - that's the recipe I came across, but not something I would ever recommend. Better still, SEE YOUR DOCTOR! I have found no evidence to support this claim whatsoever, and the problem is, I have found that sometimes it is supported by a strange assertion that these conditions are caused by "too little stomach acid" (not true), so that taking more acid in the form of vinegar, would help. This was the area I worked in within the pharma industry, and this assertion about "too little stomach acid" is false according to the knowledge I gained, backed up by official, independent medical literature. According to various official, non-profit sources, such as the UK NHS, acid reflux happens when stomach acid escapes from the stomach into the oesophagus (food pipe) causing a burning pain (heartburn) in the chest. GORD (gastro-oesophageal reflux disease) usually happens when the sphincter muscle at the bottom of the oesophagus becomes weakened. Weakening can occur because of strain, excess weight, smoking or alcohol (causing a relaxation of the sphincter muscle) among other reasons. Indigestion may be caused by stomach acid coming into contact with the protective lining of the digestive system (mucosa). The stomach acid breaks down the lining, which is very sensitive, thus leading to irritation and inflammation, which can be painful. There is no mention of the causes in any of these compaints being related to 'too little stomach acid', and over the counter and prescription medicines tend to focus on either neutralizing stomach acid, blocking acid production or providing a barrier to stop acid escaping into the food pipe. Since vinegar is acidic, I fail to see how taking it would help with acid reflux, GORD or indigestion. I remain unconvinced, and would not personally take it for such a complaint. Are any of the claims about the health benefits of apple cider vinegar and honey actually true? Is there any other evidence out there? Depending on your view point, you may or may not be convinced by the recipes above! I decided to look into the subject in a little more detail. On my page Is Honey Good For You? you can read research (and I'm talking about multiple studies) supporting claims that honey has excellent anti-bacterial properties, and is even effective against MRSA! I think nutritional benefits of honey (vitamins, minerals) are exaggerated, however. Take a look at this comparison with sugar, or even maple syrup. I have had some criticism in the past for being negative about the nutritional benefits of honey, but the truth is, I have simply provided nutritional tables, made various comparisons, and had a look at available research. I will happily look at new research or consider research I have missed if any readers wish to forward it. "Abstract: A variety of natural vinegar products are found in civilizations around the world. A review of research on these fermented products indicates numerous reports of health benefits derived by consumption of vinegar components. Therapeutic effects of vinegar arising from consuming the inherent bioactive components including acetic acid, gallic acid, catechin, ephicatechin, chlorogenic acid, caffeic acid, p-coumaric acid, and ferulic acid cause antioxidative, antidiabetic, antimicrobial, antitumor, antiobesity, antihypertensive, and cholesterol-lowering responses. The aims of this article are to discuss vinegar history, production, varieties, acetic acid bacteria, and functional properties of vinegars." I would expect that some of the properties of apple cider vinegar are genuine and can be scientifically supported, and some probably cannot. However, if this subject interests you, further information can be found, with more recipes in Apple Cider Vinegar: Miracle Health System (Bragg). One of the questions I find interesting is whether it matters what format you take. I can't imagine it would be pleasant to drink apple cider vinegar, even with honey as a sweetener, but perhaps it's something you get used to, and in fact, some people actually say it makes a pleasant drink! Obviously, if you want to create a dressing, cleanser, facial or hair mask, then you'll stick with the liquid format. However, capsules are also available, and ratings seem good! Perhaps these would be easier to take - and stick with, and just need time to 'catch on'? Anyway, they may be handy to have when travelling. A break down of honey nutrition is available here. I have found that some of the nutritional benefits of apple cider vinegar are exaggerated - as they are with honey. For instance, the claim that apple cider vinegar is rich in potassium, is actually false - unless you think 5% of your DV is 'rich'. That's just 5% of your recommend DV (daily value). In other words, you'd need 4,780g of it to get your full recommended daily intake of potassium - or 20 cups!. (Take into account that 225g mashed raw banana contains 806 mg of potassium, which is 23% of your DV). However, this is 30% of your recommended DV. Please note, that very high levels of manganese are associated with mental impairment - so this may be worth considering in view of the point directly above! In other words, if you take sufficient vinegar to get your DV of potassium, is there a risk of mental impairment? There are a few other minerals, but in tiny quantities (we are talking 2% or less of your DV - and that's for drinking a cup!). So it seems that the benefits are not so much linked with nutrition, rather, they are connected in some way with anti-bacterial or acidic properties, but everyone's health is different, and I think it's advisable to speak with your doctor before taking apple cider vinegar and honey as a remedy for any condition. (1) Vinegar Improves Insulin Sensitivity to a High-Carbohydrate Meal in Subjects With Insulin Resistance or Type 2 Diabetes. Carol S. Johnston, PHD, Cindy M. Kim, MS and Amanda J. Buller, MS. Diabetes Care 2004 Jan; 27(1): 281-282. http://dx.doi.org/10.2337/diacare.27.1.281. (3) J Food Sci. 2014 May;79(5):R757-64. doi: 10.1111/1750-3841.12434. Functional properties of vinegar. Budak NH1, Aykin E, Seydim AC, Greene AK, Guzel-Seydim ZB. (4)Paul IM, Beiler J, McMonagle A, Shaffer ML, Duda L, Berlin CM., Jr Effect of honey, dextromethorphan, and no treatment on nocturnal cough and sleep quality for coughing children and their parents. Arch Pediatr Adolesc Med. 2007;161(12):1140–6. (5) Cohen HA, Rozen J, Kristal H, Laks Y, Berkovitch M, Uziel Y, Kozer E, Pomeranz A, Efrat H. Effect of honey on nocturnal cough and sleep quality: a double-blind, randomized, placebo-controlled study. Pediatrics. 2012 Sep; 130(3):465-71. 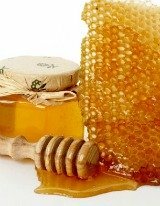 If you’d like to know more about honey, why not take a look at the page Honey Health Benefits. If you would like to read about more home remedies made with honey, take a look at Honey And Cinnammon Cures. If you would now like to read about the use of apple cider vinegar and honey in weight lose, check out Vinegar And Honey Diet. If you are interested in the nutritional content of honey, then do check out Honey Vs Sugar. I decided to compare these two sweeteners, and composed nutritional tables so that we could have a good look at the difference. Or take a look at Honey Nutrition. If you would be interested to read about some scrumptious Recipes Using Honey, take a look at these recipes for cakes, dressings, glazes, and more! Some of these recipes are classics, some of them have an interesting twist, with added spices and citrus fruits. Finally, did you know that bees make honey as a way to provide food for themselves over the winter period? Find out more, from Why Do Bees Make Honey?